The Kaspersky Riga Masters 2016 will take place in June for the third time in a row – this year with a significantly increased prize fund. The total prize money for the tournament will increase from €125,000 to €200,000. The winner’s prize for next season’s Kaspersky Riga Masters will be doubled to €50,000. In 2016, the tournament will start with 128 players competing in a qualifying round on June 3-4 at the Guild Hall in Preston. The 64 qualifiers will then head to Riga for the final stages from June 22 to June 24. All matches will be best of seven frames until the semi-finals and the final, which will be best of nine with no interval. World Snooker Chairman Barry Hearn said: “Snooker is definitely developing throughout Europe as we now have three events on the continent with at least €200,000 prize money on offer. The tournament will be broadcast on Eurosport and then nine further broadcasts in Asia will be made. In 2014, the Kaspersky Riga Open was the first ever professional snooker tournament to be staged in Latvia and was won by Mark Selby. 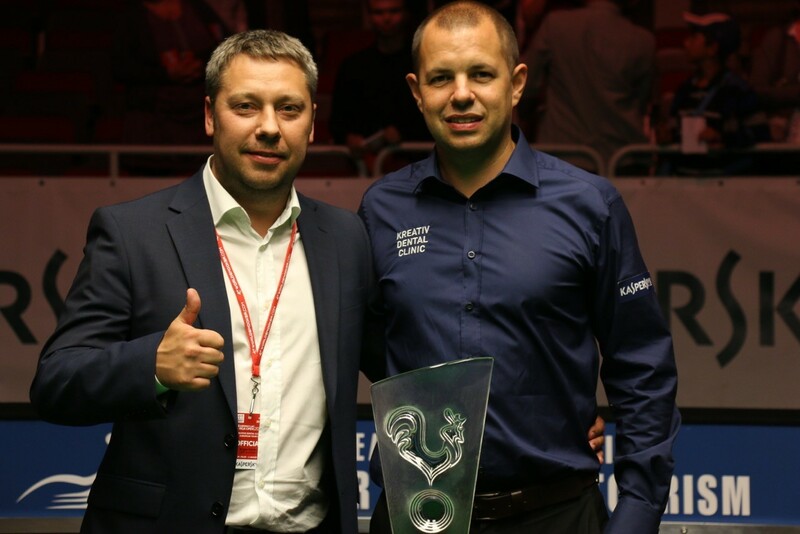 The event was held again in 2015 with Barry Hawkins lifting the trophy. Tickets for the Kaspersky Riga Masters are ON SALE NOW. To book, go to www.bilesuserviss.lv. Fans can see many of their snooker heroes on the same day and watch several matches at the same time.